Whether you're a new graduate, considering a job change, or a creative type who isn't finding time to pursue your passions, don't fall for this line: "Do what you love and the money will follow." The world is full of starving artists, but you don't need to starve financially to thrive artistically. 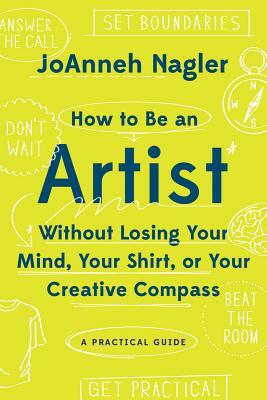 Author JoAnneh Nagler wants you to welcome your creativity and continue to make art--but to do so with a plan. In this groundbreaking book, she provides step-by-step strategies to teach writers, sculptors, painters, musicians, designers, and other artists how tohave a well-supported, well-lived life--and make art at the same time. No matter what kind of creative person you are, this book has the tools you need to live the life you've always wanted to live--right now, and for your whole life long.